We loooove fruit picking. Like, I’m pretty sure every time we’re on vacation or work trip, we check to see if there’s somewhere local to pick whatever is in season. It’s probably because I grew up in Tokyo where these type of opportunities are fairly scarce and pretty expensive. So when my husband was researching farms in the area, he found Congaree & Penn. It’s open once a month for visits so when he heard that they were open for Muscadine grape picking, he packed us up for a fun Saturday afternoon! The farm is absolutely beautiful! Plus, the staff is incredibly knowledgeable and so friendly! We really enjoyed picking the grapes and the fun hay ride through the property. Everything is so picturesque! These were the signs for the different varieties of grapes. How pretty is this venue! Here is one of their famous rice fields. We loved these grapes. We ate a bunch of them and also turned them into very tasty grape jelly. 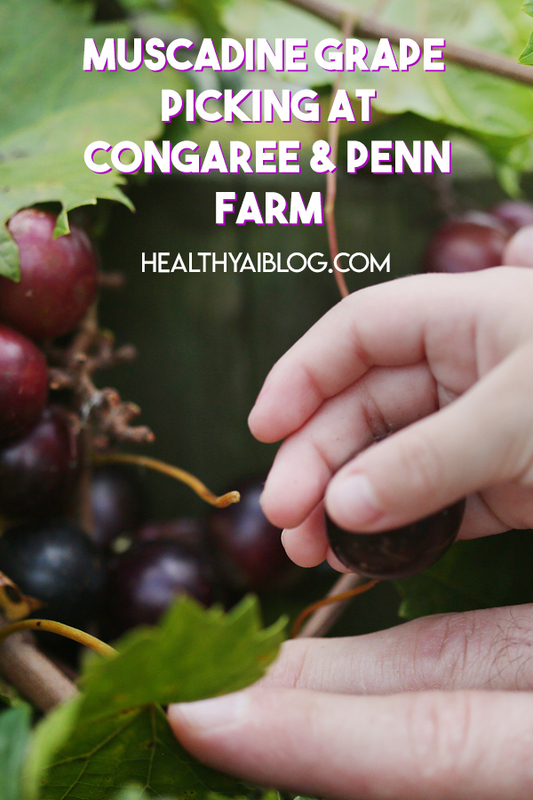 We are so looking forward to more open farm days at Congaree & Penn. They have 4 acres of beautiful rice paddies, orchards that include Johnny Apple Seed trees, and so much more! It’s a really great event for family and friends to spend outdoors learning more about a wonderful local farm!